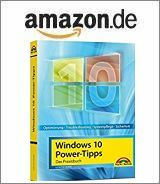 [German]Microsoft has released a bunch of Security Updates (October 10, 2017) for Microsoft Office 2007, 2010, 2013, and Microsoft Office 2016, and for SharePoint Server. Here are a few details. These updates are only valid for the MSI Installer version of Microsoft Office. Click-to-Run installations may receive updates separately. The update history for the MSI Installer versions of Office can be found on this Microsoft page. The non-safety relevant updates of October 3, 2017 are published in the blog article Microsoft Office Patchday (October 3, 2017).